The Loxahatchee River area in Jupiter is Old and New Florida at the same time. We just recently represented a client who tore down a home built in 1922, subdivided a 1-acre parcel, and sold both parcels to individuals looking to build Key West/British West Indies homes. The whole area is very large and complex, with the large river on the east pouring into the Atlantic Ocean and the northern portion dividing into the North Forks. There are canals, gated communities, golf courses…everything but retail. The River is very shallow in parts, so most probably a 50-foot boat is the max. There are some low bridges, so the Buyer must be extra careful in doing proper research. Vacant land and teardowns on the big portion of the river run from $1 million to $3.5 million, so there is quite a bit of diversity price-wise. Prices drop considerably on homes with and without canal lots; anywhere from $300,000 on up. 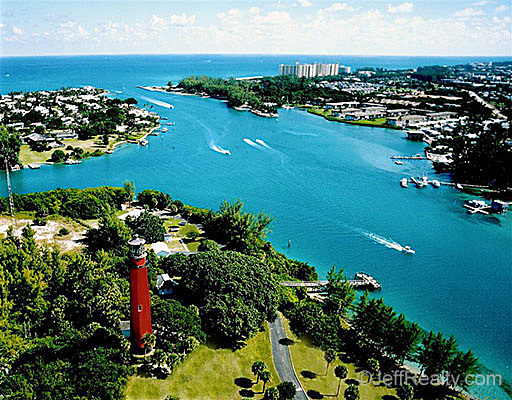 Take a look at homes on the River in Jupiter for sale. One of the features homeowners love about the area is the WIND. Great breezes every day come off the Atlantic Ocean. Many areas are just streets with no HOA fees, the gated areas have minimal HOA fees, so the cost of living there versus gated golf communities in Palm Beach Gardens is way lower, except for the cost and upkeep of a boat. There is an old Florida saying, the 2nd happiest day of your life is the day you buy your boat; the happiest day is the day you sell it. Boaters are a great breed, some are dedicated and some are fickle. The best way to go is to have a friend who owns a boat; even better if he has a plane, too. Posted in Loxahatchee River, Loxahatchee River homes, Loxahatchee River homes for sale on December 10, 2014 at 5:50 am.